For delicious food deals this month, take advantage of the reductions on the Chosen By You range Asda has to offer! As they’ve been selected through a blind-taste-test, by thousands of participants, you’re going to love these pies priced at 2 for £5. Choose from Ultimate Steak and Ale pie – that’s chunks of British beef in lashings of ale gravy, enclosed in a shortcrust pastry. 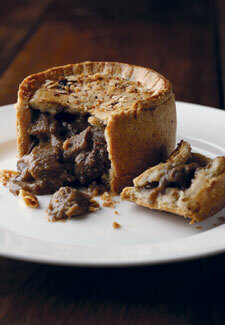 Or there’s a succulent Chicken and Ham Hock pie, in a creamy sauce, for the taking! If a pie isn’t what you’re looking for, Asda has a 2 for £7 offer on Chosen By You Chicken and meat products too, including tasty casseroles. From pork to sausage or chicken, and originally selling for £4 each, we think you can do no wrong with this range of meals!